This versatile jumper is perfect for play time, down time and work time. Our new cashmere is luxuriously soft and (even better) machine washable, and we've upped the comfort of this design by finishing it with ribbed trims on the cuffs and hem. 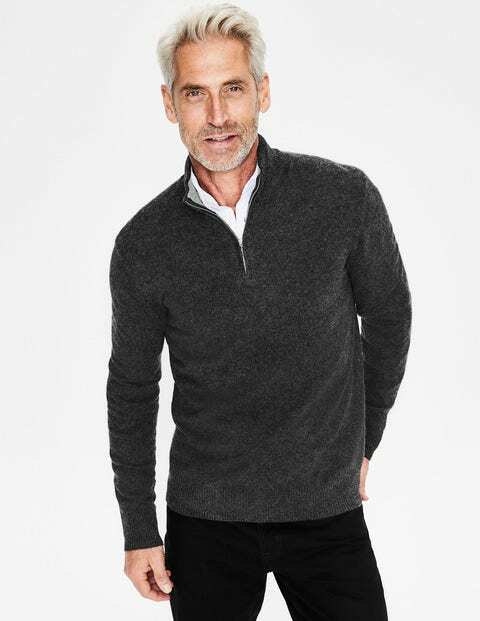 The collar has a thicker, double knit, while a small half zip keeps it streamlined and easy to layer up as the temperature begins to drop.